In 2015, Corie was named the 2015 Armed Forces Insurance Military Spouse of the Year® where she advocated for mental health issues and served as a media correspondent writing online and print publications, consulting for command teams, and speaking to groups on issues like PTSD, grief, and marriage. She traveled to Turkey, Iraq, Afghanistan, and the Persian Gulf with Secretary of Defense Ash Carter to visit troops and see deployment conditions. She has also traveled across the globe teaching individuals and couples how to live, lead, find purpose, and build relationships using thier natural talents. Christine (Christy) Cole has been married for 21 years to an active duty service member in the United States Army, with over 16 years of service, and the mother of two. She is a South Florida native and attended Nova Southeastern University to obtain a Bachelor of Science degree in Psychology and a Master of Science degree in Clinical Mental Health Counseling. Christy has worn many hats throughout her journey as a military spouse, but most recently volunteered and interned for a comprehensive healthcare clinic for the uninsured in Baltimore, Maryland. Christy is an active member of the American Counseling Association, American Mental Health Counselors Association, and the American Psychological Association. Christy is dedicated advocate for service members and their families, which was the driving force for her to make a career change and enter the counseling field as a means of giving back to her community and filling a niche where she saw a great need. Angie Hubbard has been mentoring and coaching military spouses for over 8 years. As a spouse of a US Air Force service member and now veteran, she continues to find ways to serve the military community. Currently Angie works with the Department of Defense as a Career Counselor for military spouses assisting them with resume writing, interview tips, licensure portability, and other related concerns. In addition to her role as Counselor, Angie also works with an institution of higher education as a Supplemental Instruction Leader to guide and mentor graduate counseling students through a challenge research course. Angie received her Masters of Science in Mental Health Counseling from Capella University and is a National Certified Counselor and Licensed Graduate Professional Counselor. Jessica is a medical social worker currently working for one of the leading providers of dialysis in the world. She received her BSW from Colorado State University-Pueblo in 2013 and earned the privilege of attending the University of Southern California’s School of Social Work Advanced Standing Program where she received her MSW, with a concentration in health, in 2014. She is passionate about improving the quality-of-life of her patients through advocacy and therapeutic interventions, as well as, helping to support her fellow military spouse behavioral health clinicians pursue their passions. Her professional interests include working with older adults, especially those suffering from Alzheimer’s disease and dementia; end-of-life issues, chronic disease management, and veterans. She was recently recognized by the Acting Senior Commander, Col. Michael J. Tarsa, for her dedication to volunteering her time helping military families within the Fort Carson community. In addition, she serves as a co-leader of a Family Readiness Group, and is an active member in her local chapter of Counsel of Nephrology Social Workers, and the National Association of Social Workers. Heather Tippens began her career as a Licensed Mental Health Clinician in Massachusetts. She graduated from The Massachusetts School of Professional Psychology, in 2010 with her Master’s in Forensic and Counseling Psychology. She was awarded her licensure as a mental health clinician in Massachusetts in 2012. Heather has provided mental health services in a variety of placement settings including an adult partial hospital and day service treatment center, an outpatient community clinic, a residential substance abuse program, and community outreach at local homeless shelters and home based services. Heather has a special interest in treating adults and adolescents with major mental illness and substance abuse. Meanwhile, Heather’s husband finished his Doctorate and commissioned into the Army as a psychologist. Their first permanent change of station brought them to the Washington DC area for one very short year, during which Heather was able to obtain her license as an LPC by the Government of the District of Columbia, in 2014. Heather filled her year as a volunteer working with adults with disabilities and becoming involved with the MSBHC. Currently, she is waiting to receive her third state license in North Carolina and would like to offer support to others who are navigating the state-by-state licensure and educational requirements, in addition to other advocacy needs. Heather is eager to continue her professional and personal goal to provide clinical services and advocacy to Service Members and their families. 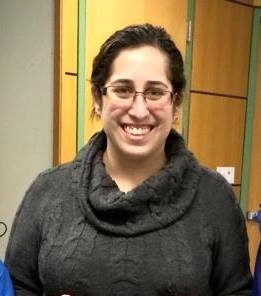 Miriam Stoll received her Doctorate in Clinical Psychology from William James College in 2018 and her Masters in Counseling Psychology in 2012 from the Massachusetts School of Professional Psychology (MSPP). She completed an APA internship at Hazelden Betty Ford Foundation in Minnesota, working with individuals struggling with substance abuse and mental illness. Currently, she is completing her Post-Doctoral Fellowship at the VA and works as a crisis clinician for a local crisis agency. She has trained and worked in a number of additional settings including the community mental health, residential schools, partial hospitals and inpatient hospital settings. Her professional interests include working with individuals of all ages and presentations, trauma, substance abuse, providing EBPs, resiliency, and veterans. These interests and passions guided her Masters capstone on resiliency in military children and her PsyD dissertation on military couple resiliency. She has delivered trainings for different mental health agencies on military culture and the impact of deployments on families. She is an active member of the American Psychological Association as well as an active member of the Massachusetts Psychological Association. After years of personal and professional experience, she is a committed advocate to military family issues, particularly issues around mental health access and couple resiliency and she is eager to continue this work.